Seeing an aero-plane fly in the sky is not an unusual sight anymore, but have you ever thought about the dynamics of flying? More importantly, have you ever thought about the differences between the physics of a small airplane flying versus the flight of a huge jumbo jet? The physics of flight are not much different from the physics of motion of any vehicle on land or a ship at sea, to say in the most basic terms. In all cases, there is a force which needs to be overcome. For example in case of a ship floating on water, the force of buoyancy overcomes the gravity force acting downwards. From the scientific standpoint, the ocean and the atmosphere are not much different – both consist of fluids – water and air respectively. Whenever an object has to float (sea) or fly (atmosphere), it has to overcome the force of gravity pulling it down towards the surface of the Earth. Yet in case of air, the shape of an airplane cannot be made in such a manner that its displacement alone overcomes the force of gravity, unlike a ship where shape is able to keep it from sinking. This is because of the difference in properties of the two fluids, water and air. It would be nigh impossible for engineers to construct an airplane in such a manner that its density is less than air, though an object like a gas filled blimp does take support of buoyancy flight. to the friction encountered by a car on the road. 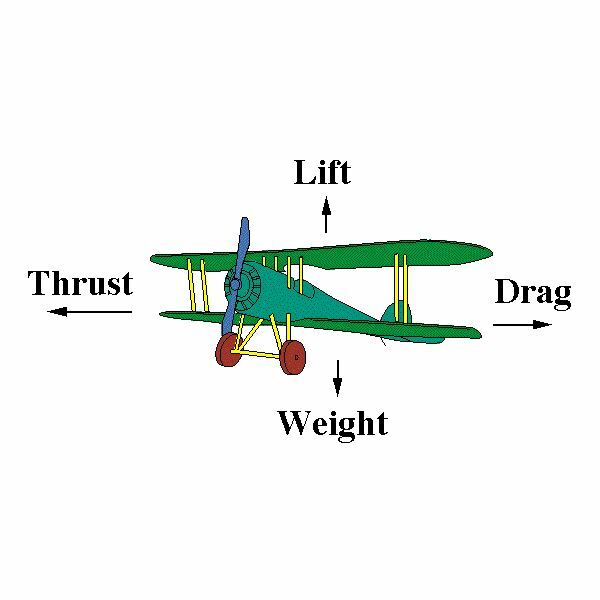 Lift is achieved by what is known as the Bernoulli’s theorem, that pressure is inversely proportional to speed. Hence a difference in speed along wing surfaces causes a corresponding pressure difference, which then leads to upward force being generated. The main question that we had set out to address is whether there are any fundamental differences between the physics of a small airplane flying vs. a large machine. After having understood the basic physics of flight, we can now try to see from that perspective. smaller airplanes can be made to fly upside down more easily, provided they have been manufactured to do so safely. It would be really difficult, it not totally impossible, to design a plane of the size of a huge jumbo jet to fly in an upside down position. turbulence during flight is obviously more noticable in a small airplane than in a large airplane because of the sheer size. Of course in case of great disturbances even large jumbo jets can get jitters. Lande, A. (1945) The Physics of Flight. New York: Reinhold Publishing Co.
Anderson, D. & Eberhardt, S. (2009) Understanding Flight. McGraw-Hill Professional Publishers.